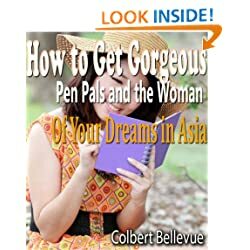 How to Get Gorgeous Pen Pals and the Woman of Your Dreams in Asia I ordered this book because I always had such a hard time meeting gorgeous pen pals and dream women from Asia. The book worked out great - in fact a little TOO great! Who knew that my Asian pen pal adventure would lead me from Topeka, Kansas to the hands of Japan's Yakuza crime syndicate and a long, difficult escape from Tokyo's underground human-slavery network! 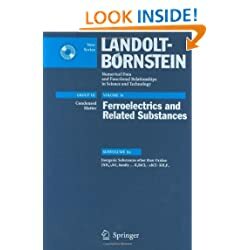 Nuclear Energy (Landolt-Börnstein: Numerical Data and Functional Relationships in Science and Technology - New Series / Advanced Materials and Technologies) After all this time, Amazon and the publishers are listening to our $6999.99 boycott! 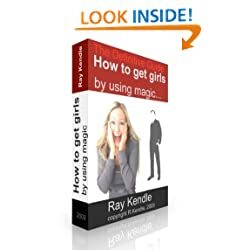 To show my pleasure and to reward them for doing so, I purchased this book. 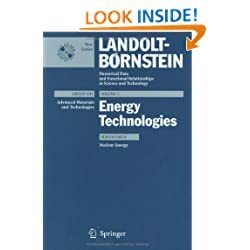 The first couple of chapters were slow and went over the basics of nuclear energy that I learned in the 4th grade. However, by chapter 3, the pace really started to pick up and I could. not. put. it. down! The suspense was killing me!